I sat around feeling dazed after two Mormon missionaries left my house one evening. The conversation had not gone as well as I would have liked. Despite being an Ex-Mormon apologist, I had been outclassed during the discussion. As I replayed the night’s dialogue in my head, it became clear why I had struggled. I had allowed the two Elders to go on the attack when I should have been pressuring them. Their victory had been assured in the first few moments of the discussion. Since I failed to pin them down, they were able to engage in guerrilla warfare. This made it impossible to counter-attack, because I never knew exactly where they were coming from. It’s been said that pinning down LDS theology is like nailing Jello to the wall, and that’s true. My new approach “The Possible Gospel”, is a way to pin a Latter-day Saint down so you can focus your message appropriately. Imputed Righteousness: God accredits all His righteousness to the believer up front. Infused Righteousness: God gives His righteousness to His followers little by little as a reward for their obedience. Joint Righteousness: The believer does his best and Christ makes up the rest. Enabled Righteousness: Christ’s atonement enables or empowers believers to keep the commandments and obtain their own worthiness. Self Righteousness: Righteousness can be obtained without Jesus. As an aside, the words “saved” and “salvation” are almost worthless in this discussion. They may believe in imputed righteousness for salvation an in another righteousness for eternal life and exaltation, which are more important in their theology. You are always better off saying “exaltation” or “eternal life”. You may need to specify that you are talking about the righteousness needed to enter the highest heaven: the Celestial Kingdom. I don’t recommend trying this with more than one or two Mormons at a time, because different answers will complicate the process. If this happens, simply explain that the types of righteousness are exclusive to each other. Infused and imputed righteousness is God’s righteousness, joint righteousness is a combination of the two, and enabled and self-righteousness belong to the individual person. Suggest that perhaps what they believe in is joint righteousness. The worst thing a Mormon can say is, “Maybe it’s none of those. Maybe it hasn’t been revealed yet.” If this occurs, remind the Mormon that the gospel is the means of salvation. If Mormonism is the “restored gospel” there must be a solid answer to this question. In short, you must get the Latter-day Saint to commit to one of these answers or there is no point in continuing the discussion. 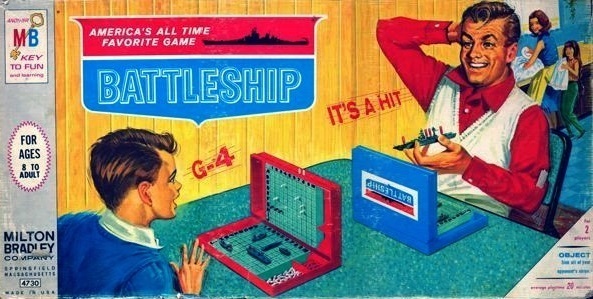 Once you get the Mormon to commit to one of the 5 types of righteousness, it’s time to play some Battleship. Sink the other types of righteousness until there is nothing left except the answer they picked and imputed righteousness. This is to prevent them from switching answers later in the discussion. Refer to Step 3 to get a feel for refuting the different types of righteousness. What’s nice about this step, is you are temporarily siding with the Mormon against these other false types of righteousness, and it’s likely they will actually help you complete this step. If they do, make sure to use their own words if they try to change positions later. You won’t need to spend a lot of time on self-righteousness because the Mormon will agree that salvation is impossible apart from Jesus. You will want to discuss this first, as it sets the stage to sink the other types of righteousness (hint: enabled, joint, and infused righteousness are really just fancy types of self-righteousness at the end of the day). I recommend using the “Impossible Gospel” approach to deal with enabled righteousness. “Nevertheless, notwithstanding the great goodness of the Lord, in showing me his great and marvelous works, my heart exclaimeth: O wretched man that I am! Yea, my heart sorroweth because of my flesh; my soul grieveth because of mine iniquities. Note: This is a great verse to bring up at some point in the discussion even if they admit to being imperfect, because the theme of this verse “trusting God while still in sin” goes against enabled, joint, and infused righteousness. Of course, the Mormon will usually admit they are not perfect yet. When this happens, ask them why not. After all, if they are covered in the enabling grace of Christ, then keeping the commandments should be easy, so why do they struggle? Sometimes Mormons will say they are getting a little better at obeying God each day. If this happens, ask for their ETA on reaching perfection. Ask them if God will be satisfied with just improvement on judgment day when they are still in sin. Be prepared with Alma 45:16 in The Book of Mormon, which says God cannot look upon sin with the least degree of allowance. Note: These Book of Mormon verses are great to use if the Mormon chose joint righteousness because they promote it more than enabled righteousness. You’ll want to explain to your LDS friend that reaching perfection so we can have grace is actually the same thing as self-righteousness, and a perfect person doesn’t need grace. Mormons may protest and say you are twisting their scriptures, and they rely on Christ. They may argue that commandments and covenants are simply part of faith because faith is an action word and not merely belief. If this happens, ask if the Jews felt the same way. Didn’t they believe in the law and in God? Therefore Galatians 2:21 applies to them. If righteousness comes through the law, or commandments, or LDS covenants then Christ died in vain. Challenge the Latter-day Saint to show you a passage in scripture that calls Jesus the great Empowerer or the Enabler. If the Latter-day Saint chooses joint righteousness, I recommend referring them to the talk “His Grace is Sufficient”, by Brad Wilcox. Although Mr. Wilcox is LDS, he is an enemy to joint righteousness, and he refutes the idea within the first six minutes of his talk. Mormons tend to be more receptive to correction from their own people. The Mormon will usually say they have to do their best. 2 Nephi 25:23 says we are saved after all we can do, and Moroni 10:32 says we must deny ourselves of all ungodliness for Christ’s grace to suffice. Use the Impossible Gospel argument to point out that they aren’t doing “all they can do”. Could they have spent 5 more minutes praying this morning? Could they have read 10 more minutes of scripture? Could they have spent last weekend at the temple or feeding the homeless? Do they ever indulge in self-gratification when they could be serving God? Use the arguments in my section about enabled righteousness to show that God cannot look upon sin with allowance, and if we falter in one point we are guilty of breaking His whole law. Ask the Mormon if we can be saved in our sins and be prepared with Alma 11:37 in The Book of Mormon that says we cannot be saved in our sins. Explain to your LDS friend that joint righteousness is synonymous with salvation in sin. Explain further that joint righteousness is impossible. Either we are worthy by ourselves and God doesn’t need to intervene, or we are sinners, and thus in the red. If we are in the red, God is saving us in sin, and fully on His own. Most Latter-day Saints have never heard of infused righteousness, but sometimes when it’s explained to them they’ll jump on the bandwagon. If they choose infused righteousness, build it up first. Use Philippians 3:9 to show that Paul didn’t have a righteousness of his own, but a righteousness that came from God. Explain that infused and imputed righteousness are the only two viable options. The trouble is, even though infused righteousness has a Biblical appearance, it still has the same practical problems as the other types of righteousness. For instance, if we are having righteousness infused into us, why would we still struggle? And why would God mix His righteousness with someone who is in sin? If you are familiar with Catholicism (they believe in infused righteousness), use some comparisons. Catholics believe in a holding place for Spirits that aren’t righteous enough, just like Mormons. Catholics believe in ongoing communion to cancel out sin and add righteousness, just like Mormons. The dilemma with infused righteousness is it never quite gets you all the way to perfect worthiness. Eternal life is always something you strive for, but never something you achieve. In other words, if God hands out His righteousness as a result of our obedience, that’s a wage. However, Paul stresses over and over again that grace is a gift, and it has nothing to do with our works. At this point, the Mormon will be confused or anxious so offer them a way out. Tell them they might like imputed righteousness more than they think because it’s all over The Book of Mormon and it’s a major theme in the temple. “Imputation is kind of the opposite of amputation. Instead of having something taken off you, you’re having something put on, or accredited to you. It’s kind of like marrying a millionaire. Even if you were tens of thousands of dollars in debt before, you are now a millionaire by virtue of your spouse. A good example of double imputation is the story of Barabbas, a guilty criminal, in the New Testament. Christ took the death penalty that Barabbas deserved, while Barabbas received the freedom that Jesus deserved. Imputation is a major theme in LDS temples because Mormons do saving ordinances for the dead who can’t receive them. The dead do not have to physically perform any works, they just have to accept what has been done on their behalf. It is a flawless representation of imputed righteousness. Mormons will probably push back a little by emphasizing obedience, sanctification, and repentance. Sometimes the phrase, “I believe that too,” is your best tool. This way Mormons come to realize that imputation covers all the bases that are important to them. The difference is, it provides a safety net for the believer while they are being sanctified. The fact is imputed righteousness immediately satisfies the worthiness requirement to enter God’s presence, while allowing the believer to grow in his walk with God. This approach isn’t very flashy, and it’s not going to make anyone too defensive. You never really get to a resolution, it’s more about planting a seed and letting God grow it. Instead of attacking Mormonism, you are showing the virtues of a Biblical doctrine. This is the belief that stole me away from Mormonism, it was the antidote to a works-based religion. Mormons say they are saved by grace, but they also believe ordinances like baptism are required to enter the Celestial Kingdom. 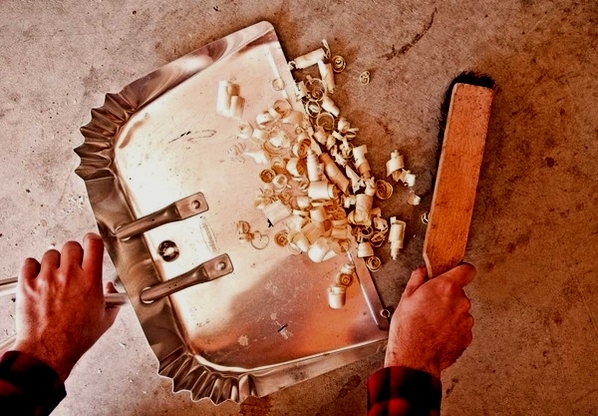 Imputation is the missing puzzle piece that emphasizes grace and negates works and covenants. Challenge the Latter-day Saint to study imputed righteousness. Tell them you have a testimony of the doctrine, and let them know you are available if they have questions about it. The more a Latter-day Saint comes to embrace imputation, the more precarious their position becomes. If imputation is true, there is no requirement for temple ordinances because we already have sufficient righteousness. If imputation is true there was no need for a restoration because Christians already had the true gospel. If imputation is true we don’t need a priesthood to seal us to God because Christ’s righteousness already does that. Simply stated, if imputation is true then Mormonism is false. 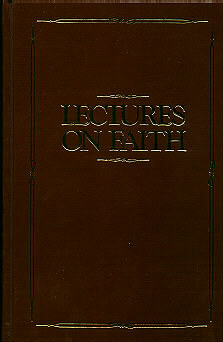 The Church of Jesus Christ claims, “The gospel has been known throughout eternity, and its principles have been preached among men and women from their beginnings on this earth.” (Robert L. Millet, “The Eternal Gospel”, Ensign, July 1996) and “The gospel of Jesus Christ is a divine and perfect plan. It is composed of eternal, unchanging principles, laws, and ordinances which are universally applicable to every individual regardless of time, place, or circumstance. Gospel principles never change.” (Ronald E. Poelman, “The Gospel and the Church”, Ensign, November 1984). But history tells a different tale: The Mormon gospel is temporal and constantly changing. Here’s a partial list of Mormon Doctrine, scripture, and bits and various pieces that have been left on the dustbin of history. More will follow in the articles in this ongoing, intermittent series of articles. The original 1830 edition was obsoleted by the 1837 revised edition and they’ve been changing it ever since. For a book Joseph Smith claimed to be “the most correct of any book on earth,” it is suspicious that the text has undergone nearly 4,000 changes. Most of the changes, Mormon apologists argue, are small grammatical or punctuation fixes. But consider this change between the 1830 and 1937 editions. The change, of course, reflects Joseph Smith’s post, Book of Mormon shift from a form of modalistic Trinitarianism to Tri-Theism. And because other changes in the 1837 were equally significant, it’s not unfair to say that as of 1837 the original 1830 Book of Mormon was displaced by a new book. Please see the Encyclopedia of Mormonism for a list of Book of Mormon editions up to to the encyclopedia’s 1992 publication date. Many Mormons who currently wish to distance themselves from McConkie and his teachings ignore both the impact he made on the LDS Church when he was alive and the statements made by colleagues after his death. When he died in 1985 after a long struggle with cancer, church leaders took turns giving his eulogy. An article written on McConkie’s life (“Elder Bruce R. McConkie: ‘Preacher of Righteousness,” Ensign, June 1985, pp. 15ff) concluded this way: “Because of his life and testimony, our faith has been strengthened and our hope for eternal life is brighter.” Several of his colleagues praised him for his personal piety while others took note of his ability to teach and understand LDS doctrine. Gordon Hinckley, then a member of the First Presidency, was the concluding speaker. In his comments he stated, “I felt like a little puppy trying to keep up with McConkie as he took his long measured steps…So it has been with most of us in keeping up with the stride of his mind in scholarship in the gospel” (Go Forward with Faith: The Biography of Gordon B. Hinckley, p.418). 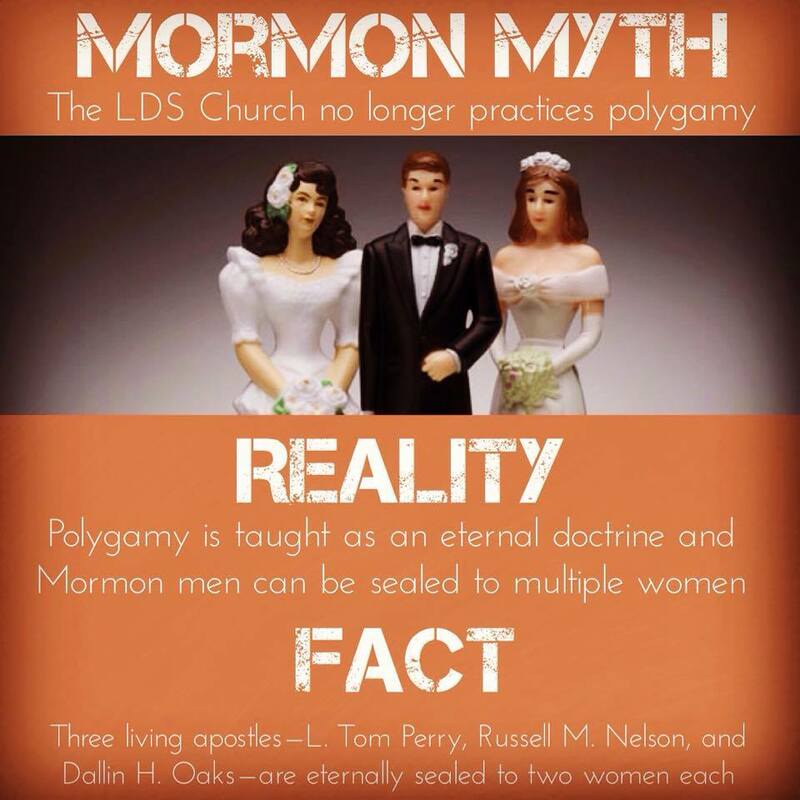 The fact that Mormons used to practice mortal polygamy (aka, a man being married to more than one living wife at the same time during his lifetime) is a secret to no one. It’s one of the most commonly known and distinguishing characteristics of Mormonism in the public’s mind. The subject is complex, deep, and wide so I can hardly do it justice in a paragraph or two. At the April 1904 general conference, President [Joseph F.] Smith issued a forceful statement, known as the Second Manifesto, attaching penalties to entering into plural marriage: “If any officer or member of the Church shall assume to solemnize or enter into any such marriage he will be deemed in transgression against the Church and will be liable to be dealt with according to the rules and regulations thereof and excommunicated therefrom.” This statement had been approved by the leading councils of the Church and was unanimously sustained at the conference as authoritative and binding on the Church. That’s all well and good, except for the fact that polygamy is a requirement for Celestial Exaltation (being granted eternal life in the presence of Heavenly Father and being deified as a god) as Doctrine & Covenant 132 explains in coded “insider” language – “covenant”, “everlasting covenant” meaning “polygamy”; “glory” meaning “celestial exaltation”. Therefore, prepare thy heart to receive and obey the instructions which I am about to give unto you; for all those who have this law revealed unto them must obey the same. For behold, I reveal unto you a new and an everlasting covenant; and if ye abide not that covenant, then are ye damned; for no one can reject this covenant and be permitted to enter into my glory. Then shall they [the couple sealed for time and eternity] be gods, because they have no end; therefore shall they be from everlasting to everlasting, because they continue; then shall they be above all, because all things are subject unto them. Then shall they be gods, because they have all power, and the angels are subject unto them. Verily, verily, I say unto you, except ye abide my law ye cannot attain to this glory. So does this mean that Celestial Exaltation has been impossible since the two Manifestos? The answer is, “No.” Thanks to the magic of Latter-day Saint dustbin dynamics, the requirement for polygamy simply disappeared and now, one needs only be sealed in an LdS Temple to one’s spouse for “time and eternity”, fulfill all the other requirements of Celestial Law and according to modern Mormonism, you’re good to go. In fact, modern Mormons are now taught that the insider language in D&C 132 has always meant that. So right into the dustbin goes polygamy! At the time that this article was written, three Mormon Apostles qualified as Celestial Polygamists: Dallin H. Oaks, L. Tom Perry, and Russell M. Nelson. 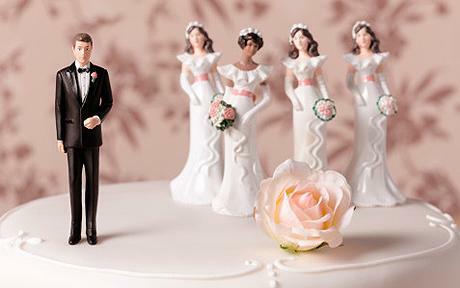 All three men are widowers, and all three men have since been “sealed” to a second wife. L. Tom Perry has since died (in 2015), leaving only Oaks and Nelson. And this is the problem with dust-binned, man-contrived, bad theology, isn’t it? It still leaves carnage in its wake. It leaves a mess. By their fruit, you shall know them indeed. “Sawdust” photograph by Chris Jordan. 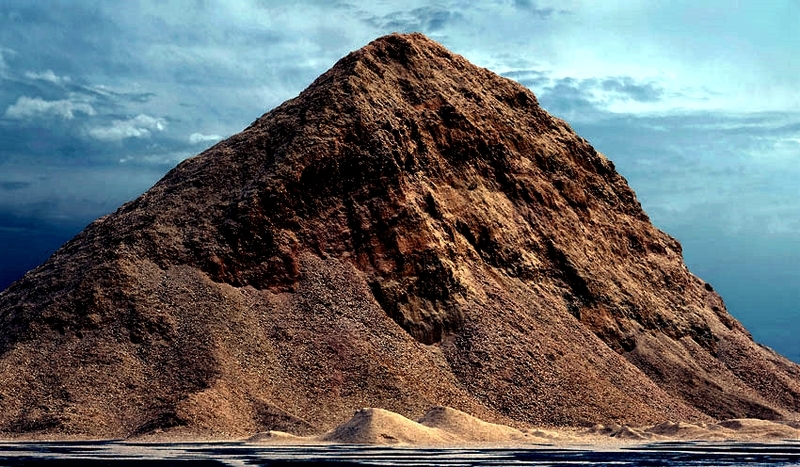 This is literally a mountain of sawdust.